Con: "While I do believe that the economy and national security are the most important issues facing our country, I am a firm believer in the dignity of life and support a ban on partial birth abortion. If I were president, I would sign legislation that would protect the sanctity of life. Additionally, I would be in favor of any legislation that would encourage adoptions as a loving and safe alternative to abortion. I also support a complete federal defunding of Planned Parenthood. American taxpayers should not be forced to foot the bill for abortions that destroy life and harm the mother. Furthermore, the roots of the organization, as pointed out in Jonah Goldberg's 'Liberal Fascism,' are Margaret Sanger's desire to perform eugenics and ultimately, destroy the black race. Many of America's most revered civil rights leaders, such as Niger Innis and Dr. Alveda King, would attest to this fact." Pro: "Nothing is as sacred as life, and Cain has pledged to protect the unborn in the United States Senate. He will introduce legislation that will restore legal, moral protection of human life and confirm conservative judges to the bench. He opposes the use of tax dollars to pay for abortions, abortion research and activities which could encourage abortion as a 'solution' to problem pregnancies. Cain is against any fetal experimentation which requires or results in the death of an unborn child. He will support legislation requiring parental notification and consent before an abortion is performed on a minor child. He will work against any attempts to legalize the RU 486 abortion technique and any attempts to make Partial Birth Abortion legal." None Found: Withdrew on Dec. 3, 2011; no additional research done as of that date to determine candidate’s position on this question. Pro: "If we don't begin to grow with the potential that we have in this country, we will have another national security crisis, and that national security crisis is that China will be as big as we are... They'll start to develop a military as big and as good as ours and they've got a billion more people and they're holding 26 percent of our debt. And you think we're going to be able to sing Kumbaya with them?" If the root cause is demand in the United States, crack down on the laws against illegal drug use. That's what you do..."
Con: "I did not agree with raising the debt ceiling, because the solution that they came up with does not solve the problem, as Representative Bachmann talks about. The way to deal with it is pay those things that need to be paid and then make the tough choices of cutting the other things, agency by agency, program by program, based upon performance metrics. We didn‘t need to raise the debt ceiling, but there was an easy way out, and the problem still has not been solved." Not Clearly Pro or Con: "The federal government also impedes economic growth by interfering in the employer and employee relationship. While labor unions once provided a representative body to lobby for fair wages and safe working conditions for employees, they now principally serve as a political mechanism for the Left. Forced unionization through the dishonestly named 'Employee Free Choice Act,' or 'card check,' would drive up the costs of goods and services, cause hundreds and thousands of jobs to be lost and ultimately, a more powerful system of liberal fundraising to be maintained." Not Clearly Pro or Con: "There are parts of NAFTA and CAFTA that I support, but I am sure that there are parts that I don't support... Basically though, I do support free trade agreements that are done correctly, where we don't give away more than we gain. And the reason is because we truly are in a global economy." Con: "Subsidies on agricultural products, like ethanol-producing corn, have become a mechanism for the government to pick and choose industries it favors, while doing little to enhance our ability to harness real alternative energy resources. Instead, we must allow all forms of energy the ability to develop in a free market system. Alternative energy sources, such as wind, solar, nuclear and hydroelectric are certainly part of the solution long term, but private industry must take the lead for true innovation to be a bigger part of our future energy needs... Let the markets decide which forms of energy fuel our cars, heat our homes and which ones will keep America working." Con: "BAIER: Mr. Cain, let me just ask you the education question. If you were president, would you return to the full enforcement of the No Child Left Behind law? CAIN: No. I believe in education starting at the local. No Child Left Behind had some faults. I don‘t believe in unfunded mandates. I believe that the federal government should be out of the business of trying to micromanage the education of our children." Con: "I believe that the federal government should be out of the business of trying to micromanage the education of our children." Con: "Manmade global warming is poppycock... In other words, I don't believe in it. Look, if people look at the real data, the climate had varied ever since we've known that the planet is here. And we know that those scientists who tried to concoct the science to say we had a hockey stick global warming and they were busted because they manipulated the data. No! This manmade global warming is not a crisis." Not Clearly Pro or Con: "What about a nationwide concealed weapons ban, here is how I would want to see that done. Let each state pass their concealed weapons ban. Empower the states that's how I would do it... not have a federal mandate for it." Not Clearly Pro or Con: "The answer on gun control is I support strong - strongly support the Second Amendment. I don't support, you know, onerous legislation that's going to restrict people's rights in order to be able to protect themselves as guaranteed by the Second Amendment." Con: "Under the guise of making health care a ‘right' for all people, President Obama and the liberals in Congress instead extended the tentacles of government, expanding their control and diminishing patients' rights. They have also made it more difficult and more expensive for doctors to practice medicine, including specialized practitioners who are desperately needed to save lives. In reality, their attempts at reforming the system have actually deformed it." So would you build an entire fence along the entire border, and would you have it be electrified? CAIN: Allow me to give a serious answer. Yes, I believe we should secure the border for real, and it would be a combination of a fence, technology, as well as possibly boots on the ground for some of the more dangerous areas. I don’t apologize at all for wanting to protect the American citizens and to protect our agents on the border, no." Illegal immigration also puts a tremendous strain on America's entitlement and health care systems. Illegal immigrants are typically uninsured and cannot afford to pay for their medical care, driving up costs for all Americans, even those actually insured. In fact, several hospitals in the US have declared bankruptcy as a result of the costs of caring for illegal immigrants." Bush... made many misjudgments about the handling of the war, but if we were not fighting the terrorists in Iraq and Afghanistan, we would be fighting them here on our soil.That reality may eventually come to pass, and if it does, I would hope that even a Democratic president could put politics aside and recognize the biggest threat to our national security, Islamic fascism." Pro: "The people of Iraq, they wanted to become a democracy... If they did not want to become a democracy, I do not think President Bush forced it upon them. Once it was clear that they wanted to become a democracy, President Bush pledged to help them do that. I know enough from the reports that I've read that this is something the Iraqi people wanted." My message for the UN, Iran, Palestinians and anyone else is this: 'If you mess with Israel, you're messing with the USA.'" Con: "I think marriage should be protected at the federal level also. I used to believe that it could be just handled by the states but there’s a movement going on to basically take the teeth out of the 1996 Defense of Marriage Act and that could cause an unraveling, so we do need some protection at the federal level because of that and so yes I would support legislation that would say that it’s between a man and a woman." Rather, this appears to be an accusation of private, alleged consensual conduct between adults - a subject matter which is not a proper subject of inquiry by the media or the public. No individual, whether a private citizen, a candidate for public office or a public official, should be questioned about his or her private sexual life. The public's right to know and the media's right to report has boundaries and most certainly those boundaries end outside of one's bedroom door... Mr. Cain has alerted his wife to this new accusation and discussed it with her. He has no obligation to discuss these types of accusations publicly with the media and he will not do so even if his principled position is viewed unfavorably by members of the media." Not Clearly Pro or Con: "[T]he state should take the lead in most instances on those issues [drug laws and medical marijuana]. There could be some circumstances where it's better for something to be issued as a federal statute. But the best approach, that notwithstanding, is for the states to put their solutions on the table. We have a very wasted resource in this country. Why not use the 50 states. Give them the power. Empower them to solve their own problems..."
It is not a person's fault if they succeeded, it is a person's fault if they failed. This is why I don't understand these demonstrations or what they are looking for." ProCon.org has no entry yet for this issue. Secondly, allow younger workers to have personal retirement accounts as an option. Now to answer this gentleman's question, current seniors will not be affected. It's to give the option to the younger workers. The Galveston County model worked, and it also worked in the small country of Chile. Instead of giving it to these states, let's give it back to the workers. That's personal retirement accounts would do." Currently, the federal government taxes too much and too often. Meaningful tax reform should be implemented immediately to alleviate that suffocating tax burden placed on businesses and individuals in America. This means across-the-board tax cuts to provide long-term relief..."
Pro: "9-9-9 [Herman Cain's economic growth plan], will pass, and it is not the price of pizza because, it has been well-studied and well-developed. It starts with, unlike your proposals, throwing out the current tax code. Continuing to pivot off the current tax code is not going to boost this economy. This is why we developed 9-9-9 -- 9 percent corporate business flat tax, 9 percent personal income flat tax, and a 9 percent national sales tax. And it will pass, Senator, because the American people want it to pass." The reason that I hang out with Tea Party people, intelligent thinkers, Americans for Prosperity, Americans for Tax Reform... I hang out with them for one simple reason. We are all crazy, crazy about the constitution, crazy about the Declaration of Independence, crazy about the United States of America... We the people are still in charge of this country." 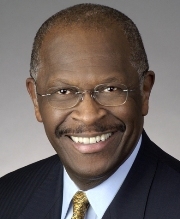 Herman Cain: 'I think marriage should be protected at the federal level also. I used to believe that it could be just handled by the states but there’s a movement going on to basically take the teeth out of the 1996 Defense of Marriage Act and that could cause an unraveling, so we do need some protection at the federal level because of that and so yes I would support legislation that would say that it’s between a man and a woman.'" You know, those ideals that we live by, we believe in, your parents believed in, they instilled in you. 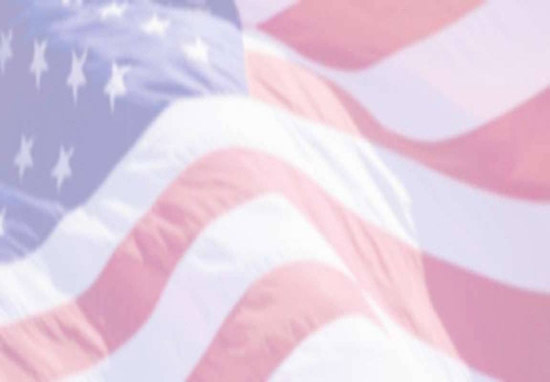 When you get to the part about 'life, liberty and the pursuit of happiness,' don't stop there, keep reading. Cause that's when it says 'when any form of government becomes destructive of those ideals, it is the right of the people to alter or abolish it.' We've got some altering and some abolishing to do!" Pro: "GARRETT: Mr. Cain, of course you’re familiar with the long - running debate we’ve had about whether waterboarding constitutes torture or is an enhanced interrogation technique. In the last campaign, Republican nominee John McCain and Barack Obama agreed that it was torture, and should not be allowed legally, and that the Army Field Manual should be the methodology used to interrogate enemy combatants. Do you agree with that or do you disagree, sir? CAIN: I agree that it was an enhanced interrogation technique. GARRETT: And then you would support it as president? GARRETT: ... to that policy? CAIN: I would return to that policy. I don’t see it as torture. I see it as an enhanced interrogation technique." Con: "We have separation of church and state. Islam combines church and state, with what they call sharia law. This is why I've been making the statement when asked about putting Muslims in my administration. I said, no, I'm not comfortable with that off the bat. That's not discrimination. That's just being cautious, because there are incidents around this country, like the attempt to build the mosque in Murfreesboro, like the attempt to build the mosque next to Ground Zero. There are other exceptions all over this country. They use our First Amendment, with the church part, without judges sometimes recognizing that there's another component. And so the bottom line is that I believe in American laws, American courts. In Murfreesboro, I talked to some of the people there. I had a conversation with one of the attorneys who was working on this case. And he said to me they know for a fact that the Muslim Brotherhood is behind the building of that mosque."